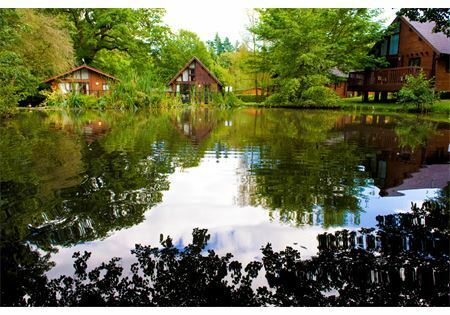 Sleeping 6-8 people in a double room, bunk room & twin room and with additional double sofa-bed available in the lounge, the detached Log Cabins have their own veranda and outside furniture. 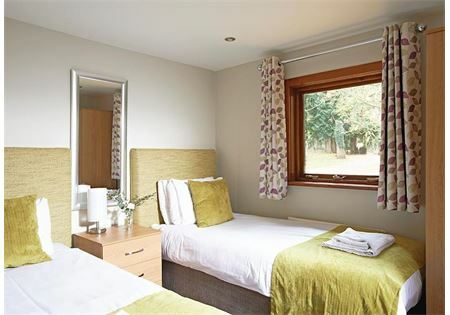 The Cabin is fully equipped with everything you need for a self catering break there is however limited dining space in this unit and only one bathroom. We haven't forgotten about your pets either - dogs are welcome at an extra charge (please request when booking). 'Pet free' accommodation is also available. 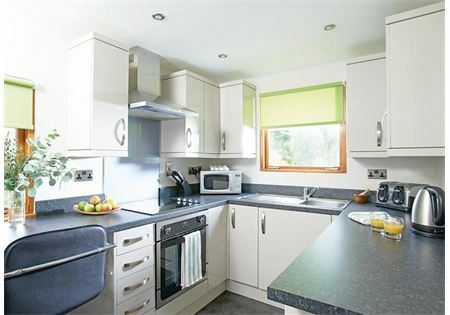 This detached three-bedroom Log Cabin, which sleeps 6-8* people in it's double, twin and bunk bedrooms, is complete with it's own private veranda and outside furniture. The open plan kitchen/lounge/diner in each Cabin is spacious and fully equipped with everything you need for a self catering break. Two of the Cabins (number 12 & 14) have a pull out dining table instead of a dedicated dining area, which seats up to 4 people. 4-8* Dinner Plates, side plates, soup/dessert bowls, egg cups, mugs, cups & saucers, tumbler glasses, wine glasses, knives, forks & spoons (* number provided in relation to maximum occupancy of cabin). All holiday cabins have bedding provided, including duvet covers & sheets, pillows & pillow cases. Your beds will be made up for your arrival. (Please note cot bedding is not provided). Towels are provided for use within your cabin. There is a television and hairdryer in the master bedroom. Each cabin has one designated parking space, Any additional cars must be parked in the main car park near reception. 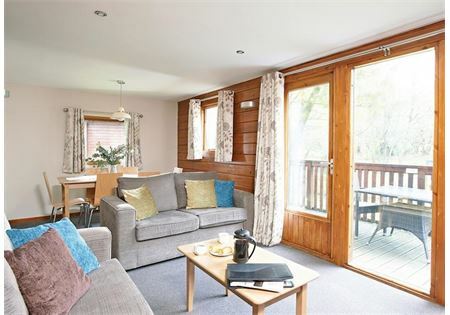 *Our Log Cabins also have a sofa-bed in the lounge, which can be used to accommodate an additional two people if required. Please note these units are only available to be booked over the phone - please call our friendly Central Reservations team on 03301 230 374. Looking to add something special to your Log Cabin upon arrival? Why not add one of our Welcome Hampers when you book online and we'll sort the rest out for you!